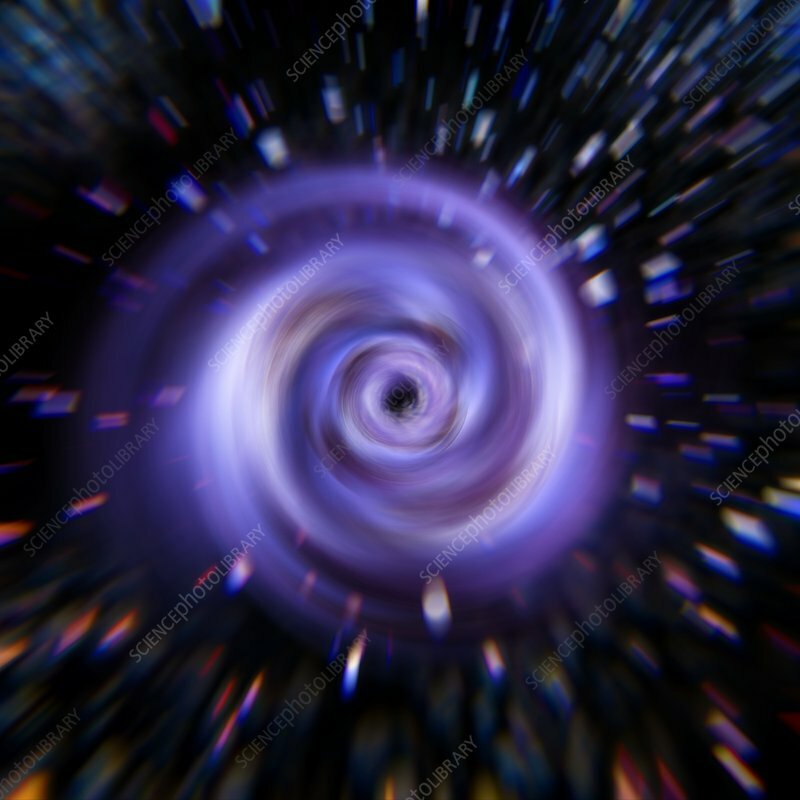 Black hole, conceptual computer artwork. Black holes are regions in space where the pull of gravity exceeds the velocity of light. As matter spirals into the black hole, it grows denser and hotter, resulting in an emission of radiation.